Below is a picture of a spray trial done by Peter Bacchus. 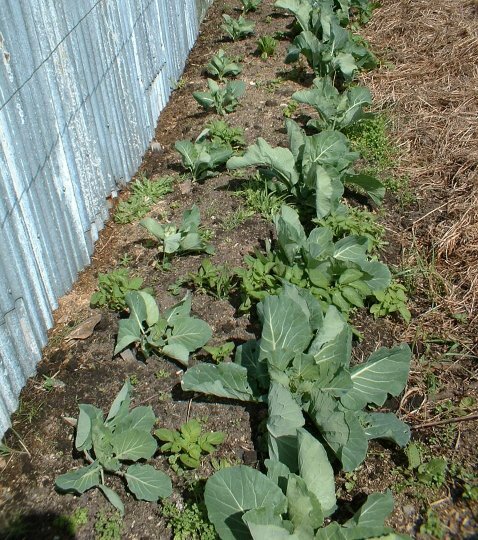 Both rows of Brassica were planted at the same time. The right hand row was sprayed once with BdMax Drought Buster. The planting took place in late Winter (August) 2003.
would have grown larger due to the warmth effect from the fence.